Aretias (Graduate Chapter) | Mu Sigma Upsilon Sorority, Inc. In our continuing efforts to remain active within the sisterhood and the community after undergraduate years, we have established the Aretias (Graduate) Chapter. The Aretias Chapter provides the organization with a strong support system of mentors and advisors, as well as great networking opportunities in both personal and professional arenas. With alumnae sisters all over the country, the Aretias Chapter remains active in our surrounding communities, including those without an undergraduate chapter. Women interested in joining MSU’s Aretias Chapter would have completed an undergraduate program with a minimum 3.0 grade point average, or be actively pursuing a degree of higher education. 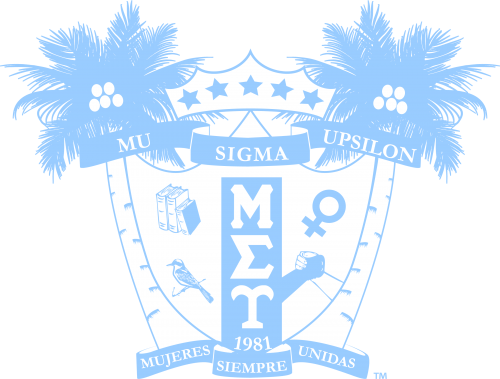 We recognize that interested women may not have had the opportunity to join Mu Sigma Upsilon at the undergraduate level and realize that opening our membership to women post graduation would benefit our organization and the community as a whole. For more information on Graduate Membership, please click here to fill out our inquiry form.